You are here: Home » Courage Calls for a People’s Vote! A People’s Vote on the final Brexit deal, with the option to Remain and Reform, is vital. Parliament continues to be in stalemate and so much has changed since 2016, which means that no one can claim to speak for the ‘Will of the People’ today. Politicians need to have the courage of their convictions and put this momentous decision back to the electorate. Having written and performed a call to action speech by Emily Davison, drawn from her writings, at several Centenary suffrage events this year, I could no longer step up and say those words yet stay silent on such a significant democratic issue I believe she would be campaigning for today. The new version of To Freedom’s Cause, my play about Emily Davison and her brave Band of Sister Suffragettes, reflects on the past with a call to action for future generations, drawn from Emily’s and Mary Leigh’s writings. This new version of the play was performed at the former suffragette (WSPU) Head Quarters last month, as part of the #Emilymatters (#EmPawa) celebrations in honour of Emily Davison’s birthday and Day of the Girl last month. It has been fantastic to be part of a number of this year’s Centenary Suffrage events. There is much to celebrate and it’s absolutely right that we mark this important chapter in the UK’s suffrage history. What would Emily Davison, Mary Leigh and their women’s suffrage campaigners make of what is happening in the UK today? Listening to women and young people, the focus of my work with the #Emilymatters initiative, it has become increasingly clear that their voices are not being heard in Westminster. 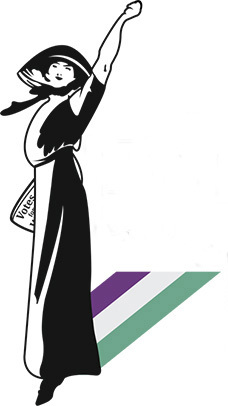 Surely this is the year to change that and create a living legacy that does women like Emily Davison and her suffrage sisters proud? We stand on the shoulders of giants – Ordinary, Brave and Extraordinary women , who never gave up the fight for equality and the right to vote. Every week the calls for a People’s Vote on the final Brexit deal grow stronger, from Nurses, Midwives, Doctors to businesses and lawyers adding their voices, backed up by nationwide surveys, most recently by Channel Four News. I want to make it very clear that I believe that we all have the right to our minds, or to stay the same when it comes to Brexit. That is what makes us a mature democracy. Given that so much has changed since 2016, no one can now claim to speak for the ‘Will of the People’. Don’t let the media silence you with talk of some people never voting again or defying democracy. It is up to all of us to listen, learn and act on the genuine issues that were highlighted by the 2016 referendum result.